The Skytec Argon Thermal Gloves (Pack of 10 Pairs) feature a double insulated nylon lining with a 3/4 HPT coated foam. The coating extends from the palm to the knuckle and fingers, providing excellent protection and grip even in wet environments. The gloves are highly durable and maintain flexibility at temperatures as low as -50°C. 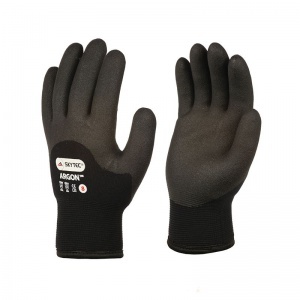 Through this listing, you can purchase the Skytec Argon Thermal Gloves in pack quantity, getting 10 pairs of gloves at a discounted price. Ideal for businesses of every size, this bundle allows you to save money on your essentials. To purchase these gloves in single pairs, please see the standard listing. 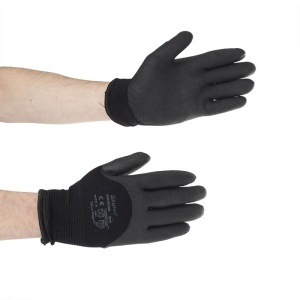 These gloves are excellent for working in cold weather through the night. 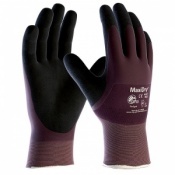 Very helpful customer service and we received the gloves by post, which was very quick. Excellent service! We use these for our valeters. They are waterproof and extremely warm. They are very hardwearing and our valeters love them! 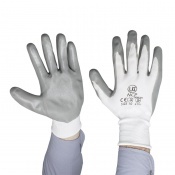 These are excellent gloves for groundskeeping. Hands protected, kept warm and dry. Great service and speedy delivery.